Red Rubber Inspirations: Fall is Here! Angie here with a Fall themed card to share with you! In Georgia, the leaves are beginning to change color and the temps are slightly cooler which means my favorite time of year is here! 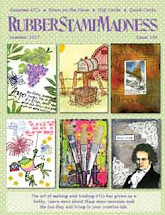 In celebration of the change of seasons, I decided to feature the beautifully etched Yester Years rubber stamp and give the trees Fall colors. 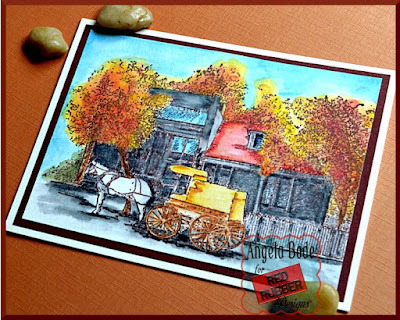 For today's inspiration, I searched "old western town art" on Pinterest and found a photo of a red-roofed barn surrounded by golden Aspen trees. 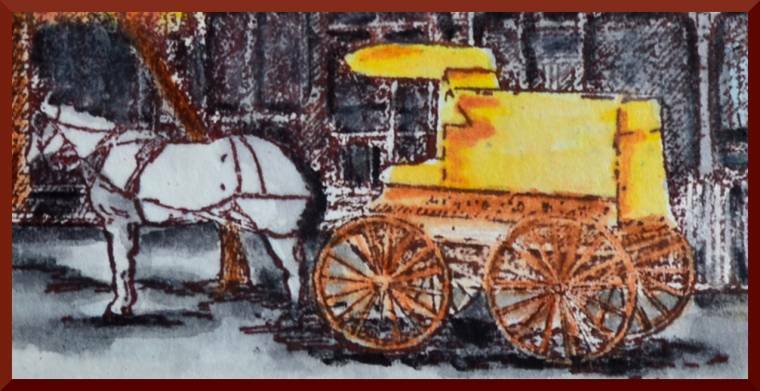 With that photo acting as inspiration, I used Inktense pencils to watercolor this beautiful image. After layering Sun and Sicilian yellow ink, I decided to stray from the inspiration photo and add Hot Red ink to the trees. 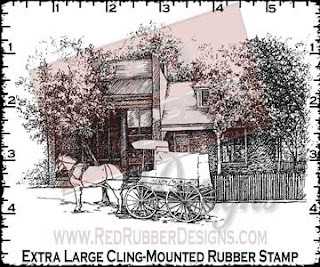 You can find new arrivals and Yester Years stamp sets, along with many past favorites in the Red Rubber Designs Online Store. Angie this watercolored image is just gorgeous! You have really captured fall! 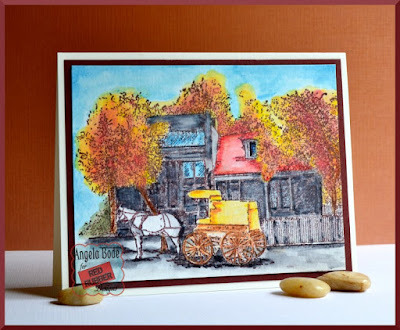 Angie - what a great autumnal scene - lovely colours all round on the vintage image. 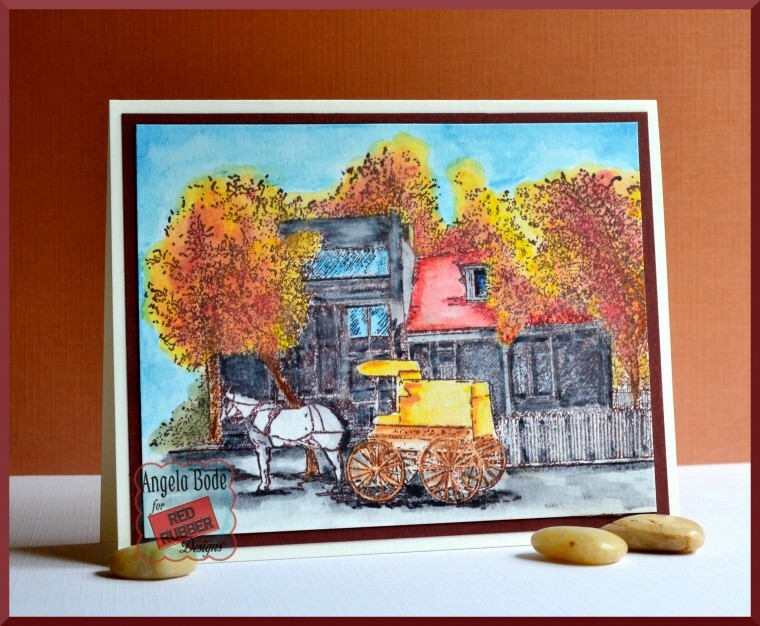 Oh, Angie, what a beautiful image, and I love your colors! I especially love the leaves on the trees - reminds me of the flaming colors in New Jersey in the fall. Hugs, sweet frend! Wow!! 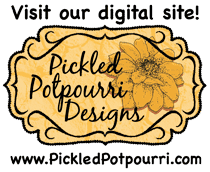 Fabulous fall colors and stamping!!! So inspirational! This is gorgeous Angie!! I just love that image and your coloring and colors are beautiful!! So bright and cheery! !